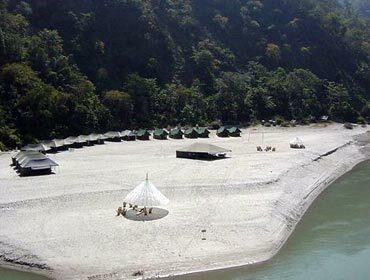 Living in conventional accommodations can be a boring affair and Camps 5 Elements offers an “off the beaten track” type accommodation that will leave you with a satisfying feeling and countless adventure memories. The airport is 22 km away while the railway station is 19 km away. 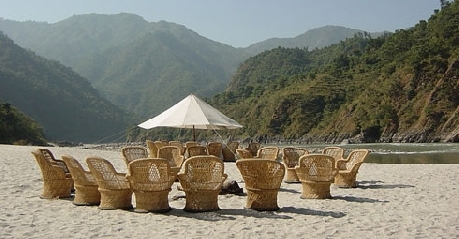 The hotel offers an accommodation right beside the Ganges in the small village of Byasi. The hotel offers the assistance of an experienced naturalist should you want to go for nature walks or trekking. The hotel offers various services namely transportation services, wake-up service, housekeeping, front desk, security and doctor on call. 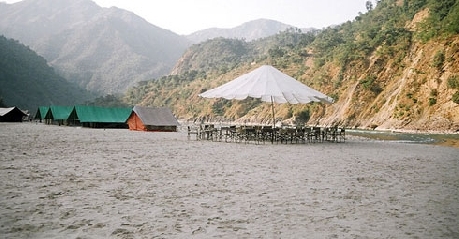 The hotel also arranges for bonfires and indoor/outdoor games for the guests entertainment. A conference camp is also located on the camp-side which offers LCD projector and audio/visual equipment and business travelers can host their conferences easily. 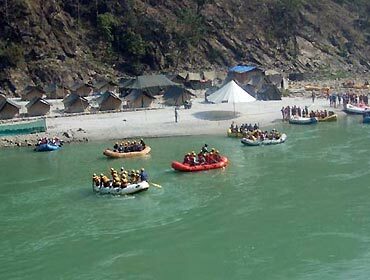 The hotel offers comfortable accommodations in the category of Rafting Package and the Camping package. 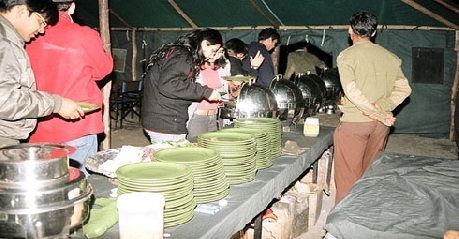 The hotel also has a dining hall under another camp serving vegetarian dishes. 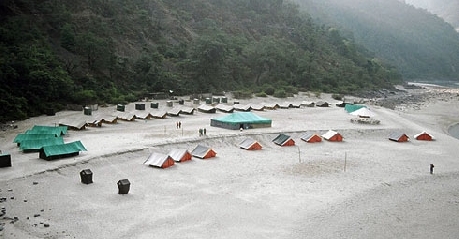 Rafting package camps offer a nice and comfortable stay. These rooms are 12*16 ft large. 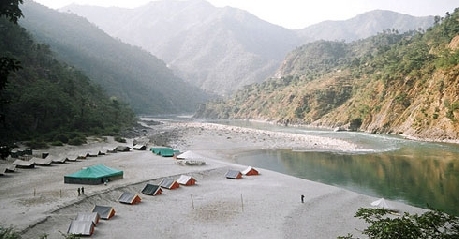 These camps come with a direct view of the nearby river and are a delight to stay in. The room comes furnished with twin beds/double beds. The camp has enough luggage space to hold your luggage easily. The private bathroom comes with a hand held shower, running hot and cold water and dry pit type of toilet. 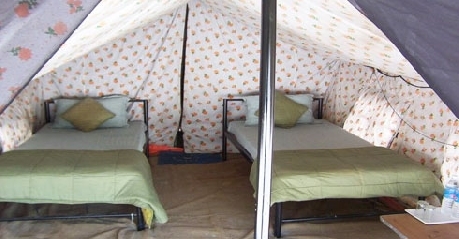 Camping packages are 12*16 ft rooms that are spacious and offer a nice and comfortable stay. These rooms are furnished with twin beds/double beds and there is ample space for your luggage. A telephone is among the conveniences offered. The rooms come with a private bathroom that is supplied with running water, hand held shower and dry toilet. The hotel’s in-house restaurant is housed inside the dining tent and offers multi-cuisine vegetarian dishes. The menu offers a staggering amount of variety and the food is delicious as locals and guests alike could be seen enjoying the food which is a testament to that fact. The chef picks only the best ingredients to use for his dishes so that authentic dishes will leave you wanting for more.